"Who died and made you king of the zombies?" 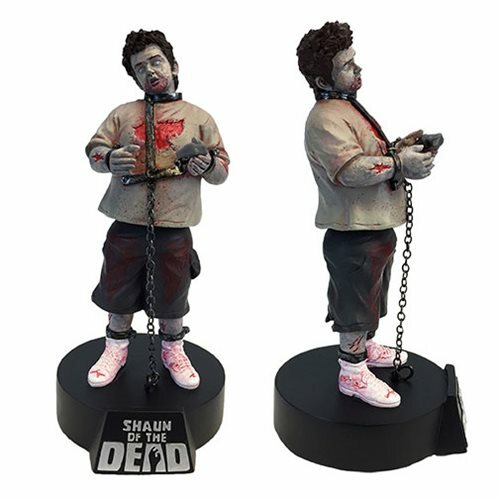 From Factory Entertainment comes a highly detailed premium motion statue of our favorite video game loving pet zombie, Ed from the hit movie Shaun of the Dead. The Shaun of the Dead Zombie Ed Premium Motion Statue stands about 8-inches tall. Ed's corpse comes to life in this hand-painted statue.